They started off as a mobile stall in February 2015 at the street market, which is commonly known as Pasar Malam, at different locations before moving to Seah Im Food Centre on 15 January 2016. 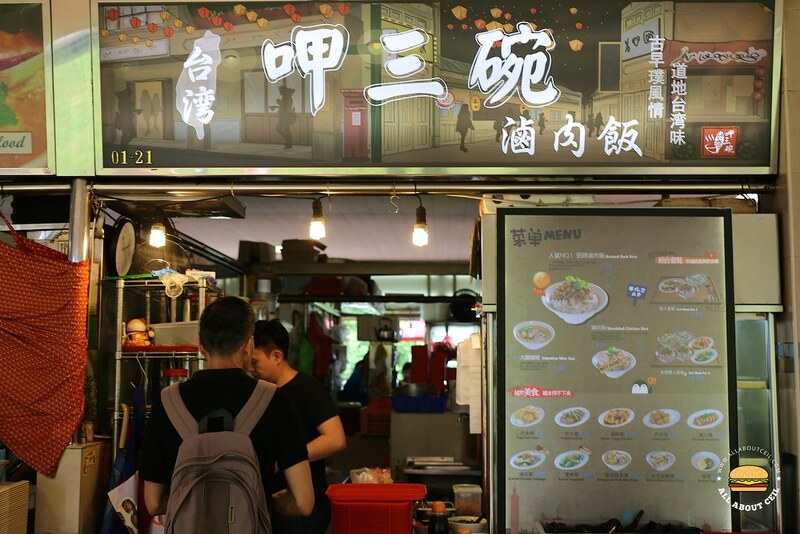 Lim Pei Tang and Ng Jie Wei, both at 30, are the 2 earnest owners and they named their stall as "呷三碗" in Taiwanese Hokkien, it simply means "eat 3 bowls". 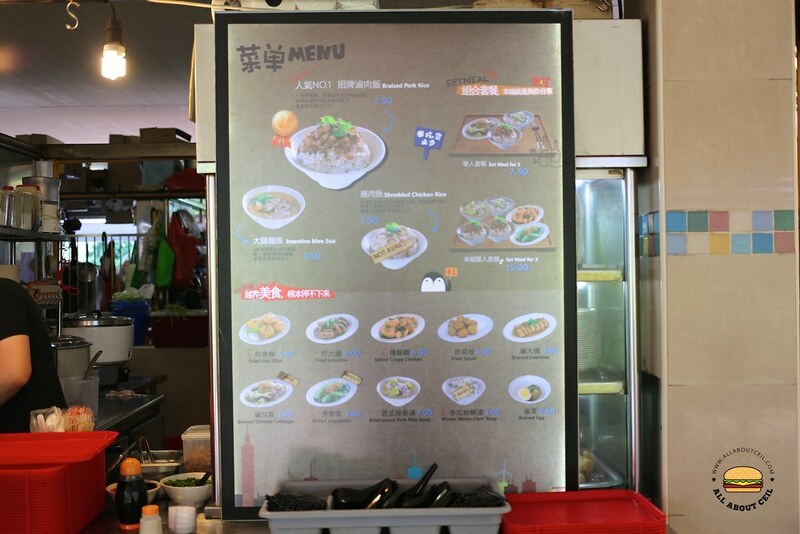 Their menu includes Braised Pork Rice ($2.50) and Intestine Mee Sua ($3.50) with sides like Fried Fish Fillet ($4.50), Fried Intestine ($4.00), Salted Crispy Chicken ($4.00), Fried Squid ($4.50), Braised Intestine ($3.50), Braised Chinese Cabbage ($3.00), Boiled Vegetable ($3.00), Bittergourd Pork Ribs Soup ($3.00) and Braised Egg (0.60 cents). 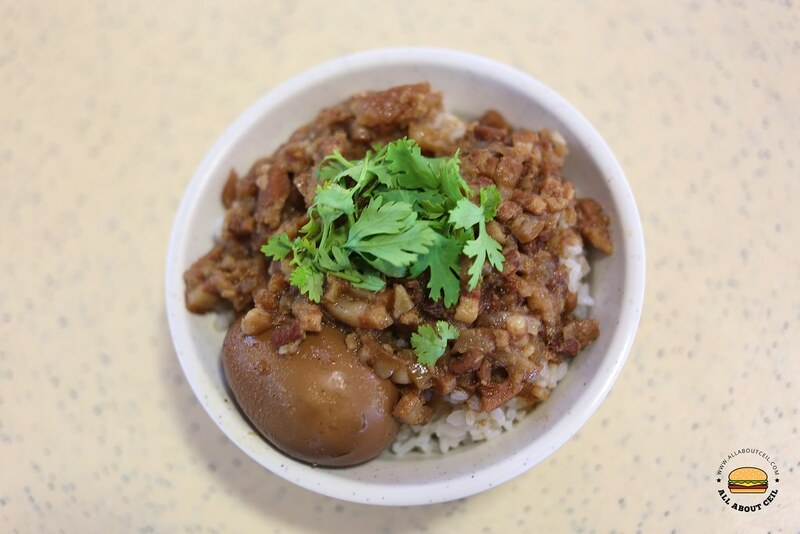 Their signature dish is the Lu Rou Fan, which is also known as Braised Pork Rice or Minced Pork Rice. This is a Taiwanese-style rice dish commonly seen throughout Taiwan, particularly at those night markets. This particular one consists of diced pork belly that is first stir-fried then braised in soy sauce and served on top of steamed rice. If you have ever tried the famous Jin Feng Minced Meat Rice (金峰卤肉饭) in Taipei, the taste is quite close though. The braising sauce was a little light and not as fragrant but the texture of the meat was meltingly tender. They are using Japanese premium short grain rice with rice wine and black vinegar from Taiwan. This is one of the best in Singapore and its authenticity is unquestionable. Their Intestine Mee Sua is a must-try. It tasted like the famous Ay-Chung Flour-Rice Noodle (阿宗面线) at Xi Men Ting (西门町) but they only serve it with braised big intestines and not the oysters. They are using the special "red mee sua" that is commonly used in the Taiwan. 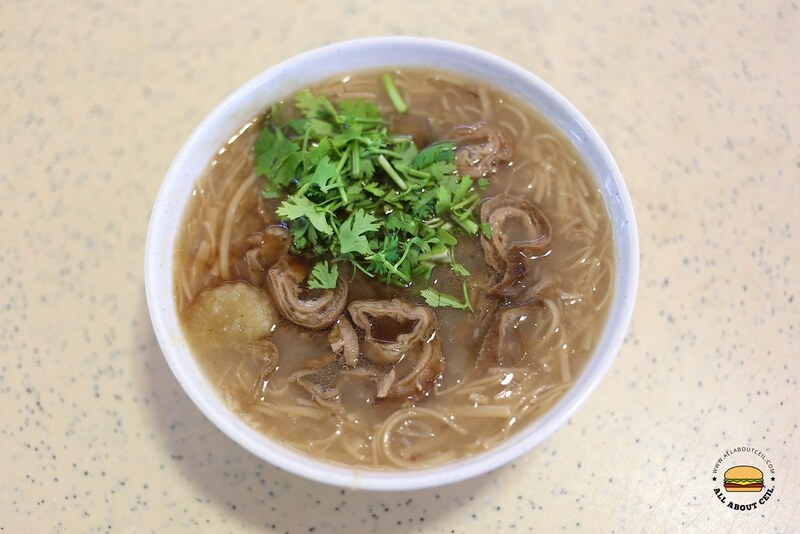 The "red mee sua" is developed through steaming the white mee sua over a long period of time to cause it to lose its springiness and elasticity thus become tolerant to subsequent cooking. It has rather good texture and consistency, its taste is enhanced by drizzled a dash of the Kong Yen Black Vinegar from Taiwan. Their Salted Crispy Chicken (盐酥鸡) is another must-try dish. This Taiwanese salted & pepper chicken is a popular Taiwanese street food that can be found at their night markets. 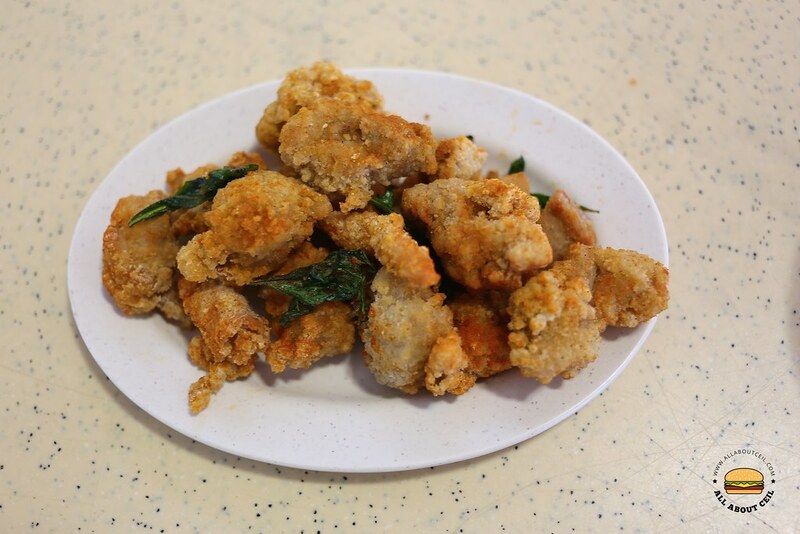 The well-seasoned chicken pieces were lightly coated with a layer of flour for deep-frying and when it is ready, mixed it with the fried basil leaves then sprinkled with pepper salt and dried chilli powder before serving. The basil leaves are part of the key ingredients and if without it, the taste would somehow be compromised and will not taste quite right and authentic. This dish can be quite addictive.